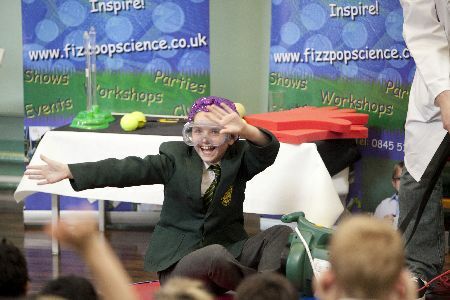 Fizz Pop Science will bring professional, fun and captivating Science workshops to your school (primary or secondary and even the little ones too) or venue. With many years of experience, a dedicated team of insured and CRB vetted party hosts and a flood of rave reviews from many customers over the years we can guarantee your workshops will be well received and enjoyed by everyone (including the adults). 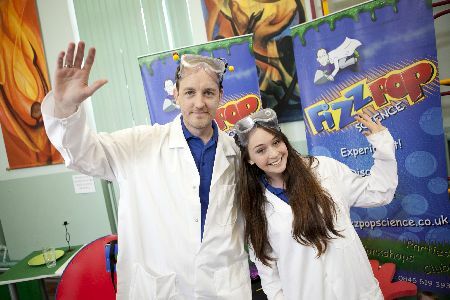 From Bubbling potions to the Science Friction show. 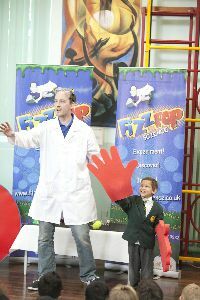 Exploding Hydrogen balloons or foaming super volcanoes we can cover almost every topic you could hope for. In fact in some instances we have completely bespoked a party to the needs of our client so that we can ensure they get exactly what they want from their workshop. Our presenters are also full of energy and are experts in making sure the day is special with years of training and plenty of understanding so that they fuel every workshop with fun. With full indemnity and liability insurance as well as every presenter being DBS/CRB checked to enhanced levels we make sure you can rest easy to know you are in the safest of hands. With growth year on year and a history that has seen our phone getting busier and busier you can see why we are the ideal choice for many science workshop needs. Also we have worked with hundreds of schools across the UK and we almost always see them come back time and time again to repeat the workshops or to create their own bespoke workshops so that we cater to the exact needs of the invitees. A company that is dedicated to customer service and proud of our history you can feel rest assured that we will do the best we can from start to finish to ensure your peace of mind. 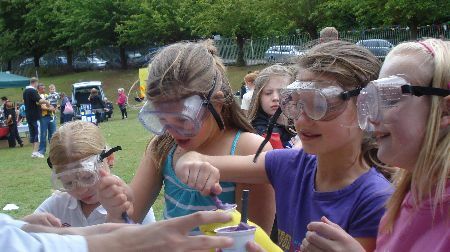 So with nothing to lose why not get in touch today on 0330 660 0445 to find out more or to speak with one of our friendly team members so that we can help you put together a science workshop that you will be proud of.